– New rule effective from 20/03/2016. Now Family visa procedure is easier than before. 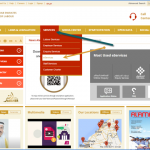 If you have all required documents ready, all steps can be completed from authorized Typing Centre. No need to visit Immigration office. – All charges, including Deposits, Guarantees, Courier and file opening fees will be processed through typing centre. Refund can be processed only to the sponsor’s Bank Account. IBAN (International Bank Account Number) of the Sponsor (applicant) is required. – You need to visit the immigration (GDRFA) only if such SMS received. You will receive application status SMS about approval or modification. White colour Visa will be mailed to applicant’s E-mail address after approval. If you need pink colour visa, you can visit any GDRFA Dubai branch after receiving approval SMS. No extra fee. Passengers from certain countries need pink colour visa for Emigration clearance. • Original Labour Contract. (Minimum Salary Dh3000 + Accommodation orDh4000). Labour Contract can be printed from Tas’heel Centre on payment of Dh53.Passport copy is enough for printing Labour Contract. No need attestation. • Visa Fee Dh360 and Dh210 for file opening charge (Typing charge extra) should be paid at Typing Centre. If you have paid for file opening before, bring the receipt for scanning. 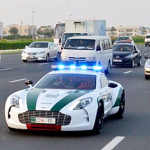 • If the sponsor is Government or Semi-government Staff, application Fees: Dh310(Typing charge extra). Weak professions include: Follow up clerk, Archives Clerk, Insurance Clerk, Sales, Sales Representative, Sales Executive etc. For Sales Executive: Dh4000 salary and Company provided Transportation is must (Transportation by First Party in Contract) Non-eligible professions include: Light Vehicle Driver, Messenger, Eye Glasses Salesman, Maintenance Mechanic General etc. INSIDE COUNTRY: If the family is inside country on cancelled visa or Visit or Tourist Visa, application fee: Dh1030 (typing charge extra). After get issued the visa, type Status Changeform from Typing Centre. If the sponsor is Mother: NOC in Arabic from husband to sponsor the child by mother. If the husband is out of UAE, NOC has to be attested by UAE Embassy abroad and Ministry of Foreign Affairs inside the UAE. Immigration Help Line: 800 5111 SRI LANKAN, INDONESIAN, ETHIOPIAN residents should present Medical Certificate for their wife (children above 18) from their home country at the time of applying for family visa (applied for all emirates). Q: I joined my company five months ago, but still I didn’t receive my Labour Contract. I want to apply for family visa. 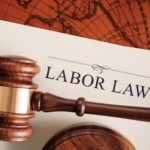 How can I get my Labour Contract? A: You can go to Tas’heel Centre with your passport copy. They will print your contract true copy same time. Fee: Dh53. Q: Do I need to visit Immigration office to submit family visa application and collect the visa? A: No need to visit Immigration. Once you submitted online application through typing centre, you will receive visa through your e-mail. Q: I am on Employment Visa. But my visa still not stamped on my passport. 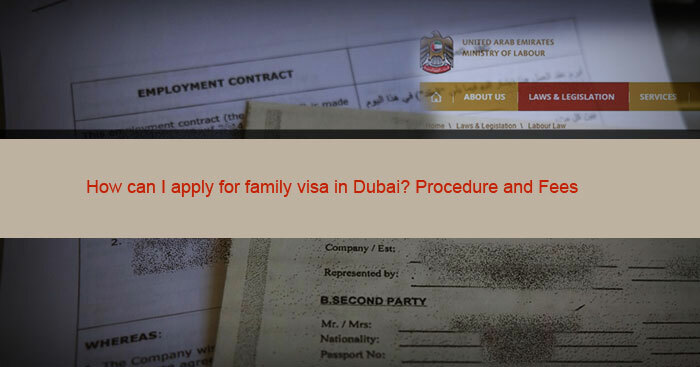 Can I attach entry visa to apply visa for my family? A: No. 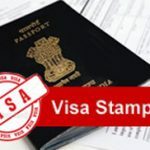 You should have stamped visa on your passport to apply for family visa. 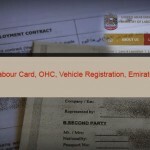 Your labour contract also should be shown at the Immigration to prove your salary. 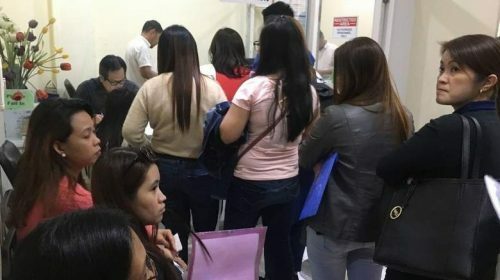 Labour Contract will be issued only after stamping your visa. Q: Do I need to endorse spouse’s name in my passport to apply for family visa? A: No. Attested marriage certificate is enough. Q: How long the family visa process takes at Immigration? A: If the above mentioned documents are correct, visa will be issued same day. Q: I want to apply residence visa for my wife and two children. I have got a studio flat in my name. 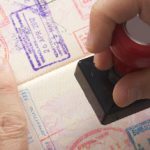 Is it acceptable for family visa? A: Yes, for wife and children studio flat also acceptable. Q: I want to apply residence visa for my child. But Tenancy Contract is issued in the name of my wife. Is it acceptable for family visa? A: Yes, it is acceptable. You should attach wife’s passport copy and Marriage Certificate. Q: I am an Investor/partner and I heard that I have to deposit Dh3020 at Immigration for each of my dependent’s residence visa. Can I refund Dh10000 / 20000 which I deposited for my investor visa? A: Yes, you can refund self visa deposit amount after you deposited Dh3020 for each of your dependent’s visa. This facility is available at Immigration head office, Jafliya. STEPS: Submit family visa application online through typing centre, Pay new deposit through online, Get family Visa issued, Go to refund counter with original deposit receipt of self visa, Get seal on the receipt No Objection for Refund. Go to Dubai Commercial Bank Immigration Brach Counter, Pay Dh10 as service charge and collect the cash. This facility is available at Immigration head office, Jafliya. If you have lost your deposit receipt, you should pay Dh70 at Immigration counter to get new receipt in lieu of lost.